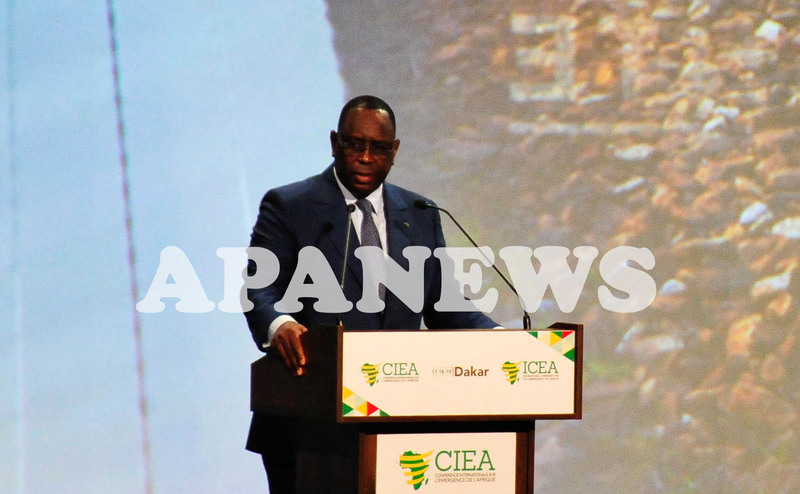 The issue of industrialization remains crucial for an Africa that wants to reach emergence and socio-economic development, Senegal’s President Macky Sall said Thursday at a conference in Diamniadio on the outskirts of Dakar. The Senegalese head of state was presiding over the opening ceremony of the 3rd International Conference on the Emergence of Africa (ICAE-III), whose theme is: "Emergence, the Private Sector and Inclusiveness". President Sall called on African countries to reform, innovate and pursue efforts to improve the business environment, with a view to attract more private investment and benefit from the opportunities for corporate relocation. "Public policies in our countries should continue to support the creation and development of a viable and competitive national private sector. It is also a key step on the road to emergence”. In addition, President Sall expressed a preference for long-term credit at reasonable rates in a collaboration "in which everyone wins, because today, if we build power plants in Africa, the technologies are not African." The conference is being attended by the president of the African Development Bank, Akinwumi Adesina, and Mahathir Mohamad, the Malaysian Prime Minister, who in their speeches in panel meetings both called for greater political stability in African states.